Mercury in vaccines has been known for a long time to cause health problems, but global awareness of how much of an impact it can have is growing rapidly. While many nations and organizations such as the UN push for the use of vaccines containing toxic compounds like mercury, other organizations such as the Coalition for Mercury-Free Drugs (CoMeD) is pushing for a ban. In order to prepare for the United Nations Environmental Program’s third intergovernmental negotiating committee (INc3) on mercury, governments were asked to send information to the United Nations secretariat concerning the use of mercury in pharmaceuticals and especially vaccines. The INC meetings are supposed to lead to a legally binding, global mercury treaty by 2013. The information on mercury in vaccines and pharmaceuticals was requested in March of this year for the meeting to take place in the fall. CoMeD was happy about this information, as they’ve been revealing information concerning the dangers of mercury at previous INC meetings. Vaccines contain toxic compounds such as aluminum, lead, arsenic, and something called thimersosal. Thimerosal is a preservative placed in vaccines that is made up of approximately 50% mercury. Mercury is such a toxic compound that is has been linked to neurological disorders, cancer, birth defects, and is also a major contributor to environmental pollution. The U.S. Public Health Service and American Academy of Pediatrics both called for thimerosals removal from U.S. vaccines “as soon a possible”. 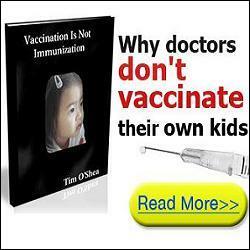 Despite over 100 studies highlighting vaccine dangers and the harmful effects of toxic compounds such as thimerosal, the vaccines are still being pushed, especially on young children and pregnant women. Like the old saying goes, it’s a lot easier to stay out of trouble than it is to get our of trouble. Similarly, it is a whole lot safer and easier to avoid toxic compounds than it is to neutralize them or take them out of the body. However, there are certain measures to take if vaccinated. If you do receive a vaccine, the first thing to do is to get a cold ice pack and hold it on the infected area for up to 2 days. If the immune response does not subside, begin and continue to take cold showers. This will further help to block the immune reaction. Another thing to do is to perform a heavy metal cleanse. A heavy metal cleanse will flush out the heavy metals and cause your body to be much less toxic. Although vaccines contain many heavy metals, they aren’t the only things to look out for when it comes to heavy metal toxicity. Silver fillings known as dental amalgams are also made up of mercury and can cause lots of problems. Mercury is also found in those environmentally friendly fluorescent bulbs. Mercury has even been found in high fructose corn syrup. But the easiest thing to do is avoid mercury altogether. More people are refusing the flu shot and other vaccines this year as opposition grows worldwide. Each person can ‘be the one’ to urge organizations and governments to make serious changes in the healthcare system. As the opposition grows, the changes will come. I will also provide quotes from various people and organizations that further show this agenda is afoot. I pray the guidance of the Lord God Almighty will be with me in this pursuit to warn others of this dark plot against humanity. Everything written in this paper is easily verifiable. It may take some time and effort, but I took great pains to make this paper as accurate as I possibly could. You will see exactly how they have created the problem; caused a reaction so widespread it is really quite impressive how successful they have been; and offered a solution: A deadly solution. I ask that you please make an attempt to distribute this paper everywhere you possibly can. The time grows short and so many are going to be caught unawares. By getting the word out, you may be able to prevent someone from needless pain and suffering. “We are grateful to The Washington Post, The New York Times, Time Magazine & other great publications whose directors have attended our meetings and respected their promise of discretion for almost 40 years. It would have been impossible for us to develop our plans for the world if we had been subject to the bright lights of publicity during those years. But, the world is now much more sophisticated and prepared to march towards a world government. Thomas Ferguson, the Latin American Case Officer for the State Department’s Office of Population Affairs (OPA) (now the US State Dept. Office of Population Affairs, est. by Henry Kissinger in 1975): “There is a single theme behind all our work -we must reduce population levels,” said Thomas Ferguson, the Latin American case officer for the State Department’s Office of Population Affairs (OPA). “Either they [governments] do it our way, through nice clean methods or they will get the kind of mess that we have in El Salvador, or in Iran, or in Beirut. Population is a political problem. Once population is out of control it requires authoritarian government, even fascism, to reduce it. “The professionals,” said Ferguson, “aren’t interested in lowering population for humanitarian reasons. That sounds nice. We look at resources and environmental constraints. We look at our strategic needs, and we say that this country must lower its population -or else we will have trouble. “Political unification in some sort of world government will be required… Even though… any radical eugenic policy will be for many years politically and psychologically impossible, it will be important for UNESCO to see that the eugenic problem is examined with the greatest care, and that the public mind is informed of the issues at stake so that much that now is unthinkable may at least become thinkable.” In the early 1950’s, former Communist Joseph Z. Kornfeder expressed the opinion that UNESCO was comparable to a Communist Party agitation and propaganda department. 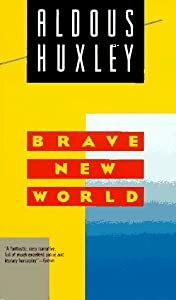 He stated that such a party apparatus ‘handles the strategy and method of getting at the public mind, young and old.’ Huxley would lard the agency with a motley collection of Communists and fellow travelers. Water is a gift of nature. Its delivery is not. It must be priced to insure it is used sustainably. “Accordingly, the Bureau of Oceans, International Environmental and Scientific Affairs has consistently blocked industrialization policies in the Third World, denying developing nation’s access to nuclear energy technology–the policies that would enable countries to sustain a growing population. According to State Department sources, and Ferguson himself, Alexander Haig is a “firm believer” in population control. Although the above stated quotes should be sufficient to prove that the elitists in power have definite intent to depopulate this planet to what they deem to be a sustainable level. Some will argue these are only opinions and are of no real consequence. I will now move on to providing bits of documentation showing this is a plan that has a worldwide scope of influence. Most of these documents are at least 10 years old, some older. That however, does not take away from the seriousness of the content. Do not think them invalid due to their age. It takes time to foment plans on such a grand scale. But, if you are honest with yourself you can see glimpses of these things happening today. I am going to cover some issues stemming from the UN Treaty on Biological Diversity (Agenda 21), which Bill Clinton signed into law in 1993 before it was sent to the U.S. Senate for ratification. This same treaty considers rocks to be living beings on an equal plane with human beings. Rocks, many believe, will reincarnate into lower life forms; and gradually into human beings. This document was brought before Congress. This statement created such an uproar that it was removed. Regardless of its removal, it still serves to prove the mindset of these people; and just because this was removed from a document it does not mean it was removed from the thoughts and the intended goals of those who penned it; or who believe it. Now I feel is an appropriate time to cover some other areas of government, as well as private organizations that would like to see the population of the world decrease at an astounding rate (up to 90%). This is a dark, bloody agenda that will cause terrible hardship and pain upon millions of people. Henry Kissinger had a similar plan to use food as a weapon in 1974, found in the National Security Study Memorandum 200: Implications of Worldwide Population Growth for U.S. Security and Overseas Interests; which was adopted as official policy by then President Gerald Ford in November of 1975. This Memorandum outlined a covert plan to reduce population growth in lesser-developed countries by means of birth control, and implicitly, war and famine. Brent Scowcroft, who had by then replaced Kissinger as National Security Advisor, (the same post Scowcroft held in the Bush Administration), was put in charge of implementing the plan. CIA Director George H.W. Bush was ordered to assist Scowcroft, as were the Secretaries of State, Treasury, Defense and Agriculture. This document has never been renounced, only certain portions have been amended, leaving it as the foundational document on population control issued in the U.S. Government. Let it be noted that Adolph Hitler also used food as weapon, stating that food is “a beautiful instrument…for maneuvering and disciplining the masses.” Food has been used as a weapon of war for centuries. Why then would it be outrageous for the elite to use food as a weapon, both a physical and a psychological weapon, in a declared war on overpopulation? It would not be outrageous at all. As has been said time and time again, history repeats itself. Now we will cover the Earth Charter. The American people were not allowed to see this. Americans as a whole do not want the UN to be the head of a world government. The one thing the majority of this country values, above most everything else, is their freedom. Or the semblance of freedom we have left should I say. At the Earth Summit in Rio de Janeiro, the Presidential Council on Sustainable Development in 1996 came to the conclusion that the world’s human population should not exceed 500 million people. That is a 93% reduction in population! According to the UN video, “Armed to the Teeth”; and also in the Freedom From War Policy -put into effect by JFK in 1961-general and complete disarmament and US military power was given over, in full, to the UN. This is a loss of the sovereignty of America. (Read this document at http://www.scribd.com/doc/5009662/Freedom From-War). In its original form, The Earth Charter failed miserably due to open, blatant pantheistic approach. Gorbachev and Strong have worked diligently to change the language and make it appear less obvious. You may be wondering what the Earth Charter has to do with depopulation. It has everything to do with it. Here is a very brief synopsis of what the Charter holds for us. The Earth Charter has not been ratified. Do not make the mistake of assuming it has not been interwoven into our society, however! It is being taught in our schools and promoted shamelessly by Hollywood, the UN, NBC (owned by GE), ABC, CBS, CNN, HLN & all the Fox owned stations, with the exception of Fox News in order to keep the supporters blinded to the machinations of Rupert Murdock. Do not be deceived! The ability to freely procreate is soon to be removed from us, much as it has been in China for many years. Not only will we not be allowed to have children, anyone who is termed a “useless eater” (A term coined by Henry Kissinger) will be euthanized: Mercilessly culled. CA guidelines set for vitamins & minerals are said to be voluntary, however, they are scheduled to become mandatory on December 31, 2009. In 1994, Codex Alimentarius declared nutrients to be poisons: See the Dietary Supplement Health Education Act (DSHEA). Yet fluoride is acceptable! Why? It creates complacency. Proper nutrients will ensure a longer, healthier life. Not at all in keeping with a depopulation agenda. ** “In 1962 it was decreed that there would be a move toward total global implementation of Codex Alimentarius. The date set for implementation is December 31, 2009. WHO and FAO are the commissions in charge of CA. They fund it and run it at the request of the U.N.
** In conjunction with Codex Alimentarius, food will be limited and water consumption will be decreased to 10 gallons per day, per person. The average American uses 140 gallons of water every day. The food provided will be Genetically Modified and nutrient deficient. ** As of the Codex Alimentarius (CA) implementation date of 12/31/09, if there were a famine anywhere in the world, it will be illegal to send any high nutrient density biscuits. Or to distribute them!! ** Once a country becomes CA compliant, CA can never be repealed. Membership with the WTO robs the member nations of any and all sovereignty. Germany is now CA compliant. ** Every county must set up a council to oversee the implementation of A 21. A 21 is Sustainable Development. Steven Rockefeller set up the Earth Charter, referenced above. The Earth Charter is the new One World Religion: Earth worship. The earth is considered to be ‘sacred’, and its protection is a ‘sacred trust’. Global responsibility will demand basic changes in values, behaviors and attitudes of government, the private sector, and civil society. ** Under Sustainable Development man is considered to be responsible for the pollution of the planet and is subordinate to all other living creatures. This is a direct contradiction to the Bible where God placed man in a position of dominance over the entire earth. The elite will worship and serve the creature, rather than the Creator. ** Among the things considered to be unsustainable, as listed above, these are included: Monotheism and the family unit. The health care plan of President Obama is under A 21. Under this health care plan, the family unit is very much being attacked. Anyone over age 65 must undergo ‘end of life counseling’ by their doctor every 5 years. Abortion will be pushed that much harder, especially with the Science Czar wanting sterilants put into our water supply! One of the new appointee’s to the Obama Administration once said in a book he co-wrote that a child could be killed up to the age of 2 years old! What kind of a monster could think that is acceptable? ** Nearly the exact language used to define Sustainable Development was taken from the 1977 Soviet Constitution! ** The Family Dependency Ratio, under the United Nations, will look at every household. They will gauge what that household has produced in accordance with what it has used (i.e., resources) by the water bills, energy bills, etc. Are you using more than you are producing? Are you adding to the collective, or merely taking away? This is how the powers that be will determine whether you are a productive citizen, or, in the words of Henry Kissinger, “A useless eater”. ** In 1990, Prince Charles formed The Prince of Wales Business Leaders Forum to bring together 50-60 of the world’s topmost multi-national/transnational corporations to start buying up governments around the world. This is Public/Private Partnerships: This is the very definition of fascism. The Hollie Greig Story – Proof of Endemic Paedophilia in the Scottish Establishment! Is Artificial Scarcity to be Introduced to Starve the Poor? Seems Like The Elite’s are Planning to Do Just That! Reports have it that both the United States and the United Nations are endorsing the reproductive health bill. There will be a plenary debate on the measure come May 9 upon the resumption of session. But of course. The US and the UN are all for population control. Let’s rewind a bit to see how involved the US really is on population control. In December 1974, shortly after the first major international conference was held under UN auspices in Bucharest, Romania, several of the major US government agencies—the Central Intelligence Agency, the State Department and the Agency for International Development)—submitted their inputs. Their contributions were combined into one report entitled “Implications of Worldwide Population Growth on US Security and Overseas Interests.” The final study was more than 200 pages long. That crucial document became what is known as NSSM 200. It stands for National Security Study Memorandum and the number 200 identified the order in which it was produced. Records show that the original request for a review of overseas population policies is also called NSSM 200, and was written April 27, 1974 by former Secretary of State Henry Kissinger. The actual study which covered 229 pages of text represents one stage of the NSSM 200 correspondence series, and was submitted on December 10, 1974. It became the official guide to foreign policy November 26, 1976, when a National Security Decision Memorandum (NSDM 314) was signed. It endorsed the findings of the study. Who actually was responsible for the study? NSSM was compiled by the National Security Council, which is the highest level of command in the US government. The NSC is headed by no less than the US President and his designated Security Advisor, and its purpose is to coordinate the overseas operations of all executive branches of the US government. Now, read this: Specifically, NSSM 200 targets 13 countries of “special US political and strategic interest,” which include India, Brazil, Egypt, Nigeria, Indonesia, the Philippines, Bangladesh, Pakistan, Mexico, Thailand, Turkey, Ethiopia and Columbia. Why? I will come to that later. The question is whether or not NSSM 200 is still in force. Records show that it still is, technically. It remains the official paper on population until it is replaced by another of equal importance. However, the implementation of the guidelines may differ from one administration to another. Former President Jimmy Carter, for example, showed considerably less interest in curbing population growth than did his predecessors, former US President Richard Nixon and Gerald Ford. The Reagan administration took a somewhat different approach (i.e. the Mexico City policy that banned direct US financing for abortions). Records also show that funds for population control increased rapidly and dramatically during the Reagan and Bush years, but this did not necessarily indicate a new NSC direction. Why was the NSSM 200 only discovered in 1990? This is a highly classified document, which the public—much less the people of the developing countries affected—should not know about. But in the mid-1990s, there was a schedule for declassifying secret documents. The document was not actually made public until almost a year later, when it was given to the US National Archives in response to a request from an American journalist working for the Information Project for Africa. The reason reportedly for the document’s declassification is first, by 1990 at least, many of study’s recommendations for population control on aid-receiving countries had been achieved; and second, records also showed that the US had elected George Bush, a former CIA director, in 1988, which may have signaled to classification review personnel that the American public had grown more tolerant to covert US activities overseas. Now, we come to the reasons why the US wanted to control other countries’ population. NSSM, according to records and studies, showed US concern for population growth in the developing world threatening US security in four basic ways. First, certain large nations stand to gain significant political power and influence as a result. Second, the US and its western allies have a vital interest in strategic materials, like mineral and ore, which have to be imported from less-developed countries like the Philippines. Third, societies with high birth rates have large numbers of young people, who are more likely than older people to challenge global power structures. And last, population growth in relatively disadvantaged countries jeopardizes US investments. Santa Banana, the bottom line is US self-interest! The report cites Brazil that could benefit politically with population growth. Since Brazil clearly dominates the continent demographically, Brazil could outnumber US residents by the end of the century. This would give Brazil a growing power status not only in Latin America but on the world scene over the next 25 years. Nigeria, likewise with a growing population to number 135 million by the end of this century, would have political and strategic influence in Africa south of the Sahara. How does population control help the West acquire minerals? It is said that the location of vast reserves of higher-grade ores of most minerals favors increasing dependence of all industrialized regions on imports from less-developed countries. Studies show that the real problems of mineral supplies lie, not in basic sufficiency, but, in the politico-economic issues of access, terms of exploitation and exploration and division of the benefits. Another issue is the role of the youth. Records show that young people have historically been advocates for change and are more prone to confront imperialism. This is especially true in the Philippines with the youth now more involved in political and economic problems. There is also the issue of US commercial investments being affected by growing birth rates overseas. The NSSM 200 document points out that the growing nations are hard put in providing their growing needs. Thus, it warns, they are likewise to make increased demands of foreign investors. Thus under such circumstances, western corporate holdings are likely to be expropriated or subjected to arbitrary intervention. United States and United Nations policies repeatedly assert that birth control is necessary for development. This is also the core of the advocacy of population control through a reproductive health law. And the US and the UN do it by means of providing less-developed nations like the Philippines with grants and aids, like the involvement of the World Bank and other agencies of the United Nations in development. For instance, the NSSM 200 document advises the US government to play an important role in establishing the United Nations Fund for Population Activities to spearhead a multilateral effort in population as a complement to the bilateral actions of USAID and other donor countries. The document even asserts the need for mandatory programs like the appraisal of assistance to less-developed countries and their requirements. Now comes the rub. The NSSM 200 document requires US diplomatic and embassy officials to be alert to opportunities to demonstrate to the leaders of less-developed countries like the Philippines on the consequences of rapid population growth. That’s basically propaganda by imperialist America. This propaganda includes invitations to Washington extended to every leader of a less developed nation. That explains the yearly homage of every Philippine president to Washington. Simply put, the slower the Philippine population grows, the better for Washington. We must be blind if we don’t see through all these. The U.S. Economy : collapse of the economies of Iceland, Greece, Ireland, and, now, possibly Spain, is coming also to the United States. Population control as a solution to global warming – is anybody willing? THE NEW WORLD ORDER (Novus Ordo Seclorum): Globalist elites (operating through organisations including the Bilderberg Group, Royal Institute of International Affairs, Council on Foreign Relations, Tri-lateral Commission, World Bank, WTO, United Nations, European Union, NAFTA, the Club of Rome and others) have collectively sworn to bring about their long-term plan of “post-industrial revolution,” which is nothing less than the wholesale destruction of the Western industrial base, a single global currency & centralised financial control, the liquidation of the middle class as a social group and the micro-chipping of the general population. The people of the Western World are in the middle of a profoundly disturbing social engineering exercise that most are ignorant of, even though many sense that something is not quite right with their society. Led by plutocrats following a long-standing plan, the globalist political elite are waging a covert campaign of aggressive disorientating assault against its populations using propaganda, divide-and-rule and other mass-manipulation techniques. These elites are all traitors to their respective countries, guilty of high treason and of high crimes and misdemeanours. They are attempting to achieve this goal using Hegllian techniques to produce their own new order out of chaos (order ab chao): they create repeated false-flag terror events like 9-11, exaggerated & false environmental scares and international finacial crashes so that, as anticipated, a gulllible and suffering populous clamour for the globalist ‘solutions’ that are already prepared. Those solutions are covertly designed to transfer power to a global plutocracy and remove liberty from the people. Those lesser individuals lower down in the power pyramid that assist the globalists are secretly referred to as “useful idiots” by their elite masters: who co-opt them by deceitful pretence that their actions are for the good of all humanity. Step by step, the elites’ goal, in their own words (see below), is a one-world plutocratic government of ‘scientific dictatorship’ in which democratic participation will be meaningless, resistance will not be tolerated and global population will be reduced to less than 20% of its current levels. This will be achieved first by continental geo-political merging (European Union, NAFTA etc) leading to global merging (One World Government). and totalitarian control. Ordinary people will be increasingly relocated into city population-centres and excluded from the countryside in the continuation of a plan initiated through the current United Nations Agenda-21. This anti-democratic nightmare can be and must be stopped (see below). “We are not going to achieve a new world order without paying for it in blood as well as in words and money.” Prominent Council on Foreign Relations member, Arthur Schlesinger, July/August 1995: In the CFR’s Foreign Affairs Magazine. “This plan is to establish — very soon — the first stages of a ‘new world order.’ This will be the novus ordo seclorum for which a self-perpetuating inner circle of Conspirators has been working and scheming relentlessly during some six generations….” World Federalists, September 1972. “The common enemy of humanity is man. In searching for a new enemy to unite us, we came up with the idea that pollution, the threat of global warming, water shortages, famine and the like would fit the bill. All these dangers are caused by human intervention, and it is only through changed attitudes and behavior that they can be overcome. The real enemy then, is humanity itself.” Club of Rome, premier environmental think-tank, consultants to the United Nations. “Isn’t the only hope for the planet that the industrialized civilizations collapse? Isn’t it our responsiblity to bring that about?” Maurice Strong, founder of the UN Environment Programme. “… the resultant ideal sustainable population is hence more than 500 million but less than one billion.” Club of Rome, Goals for Mankind. “Marxism represents a further vital and creative stage in the maturing of man’s universal vision. Marxism is simultaneously a victory of the external, active man over the inner, passive man and a victory of reason over belief… Human beings become increasingly manipulable and malleable… Today we are again witnessing the emergence of transnational elites… whose ties cut across national boundaries… The nation-state is gradually yielding its sovereignty… Further progress will require greater American sacrifices. More intensive efforts to shape a new world monetary structure will have to be undertaken…” Zbigniew Brzezinsk – Between Two Ages: America’s Role in the Technetronic Era, published 1970. Brezinski is a CFR member who became the first director of the Trilateral Commission, President Carter’s national security advisor and leading foreign affairs advisor to President Obama. “Childbearing should be a punishable crime against society, unless the parents hold a government license. All potential parents should be required to use contraceptive chemicals, the government issuing antidotes to citizens chosen for childbearing.” David Brower, first Executive Director of the Sierra Club. “We need to get some broad based support, to capture the public’s imagination… So we have to offer up scary scenarios, make simplified, dramatic statements and make little mention of any doubts… Each of us has to decide what the right balance is between being effective and being honest.” Prof. Stephen Schneider, Stanford Professor of Climatology, lead author of many IPCC reports. “Europe’s nations should be guided towards the superstate without their people understanding what is happening. This can be accomplished by successive steps, each disguised as having an economic purpose, but which will eventually and irreversibly lead to federation.” Jean Omer Marie Gabriel Monnet (1888-1979) the “chief architect” of the European Unity and a “Founding Father” of the European Union Superstate plan. “We are on the verge of a global transformation. All we need is the right major crisis…” David Rockefeller, Club of Rome executive member. “Democracy is not a panacea. It cannot organize everything and it is unaware of its own limits. These facts must be faced squarely. Sacrilegious though this may sound, democracy is no longer well suited for the tasks ahead. The complexity and the technical nature of many of today’s problems do not always allow elected representatives to make competent decisions at the right time.” Club of Rome, The First Global Revolution. “The [global warming] models are convenient fictions that provide something very useful.” Dr David Frame, climate modeler, Oxford University. “Effective execution of Agenda 21 will require a profound reorientation of all human society, unlike anything the world has ever experienced a major shift in the priorities of both governments and individuals and an unprecedented redeployment of human and financial resources. This shift will demand that a concern for the environmental consequences of every human action be integrated into individual and collective decision-making at every level.” UN Agenda 21. “The spiritual sense of our place in nature… can be traced to the origins of human civilization… The last vestige of organized goddess worship was eliminated by Christianity.” Al Gore, Earth in the Balance. “Let the U.N. establish new agencies such as an International Criminal Court….National sovereignty would be gradually eroded until it is no longer an issue. Eventually a world federation can be formally adopted with little resistance.” World Federalist Association – The Genius of Federation: Why World Federation Is the Answer to Global Problems, 1994. “It doesn’t matter what is true, it only matters what people believe is true.” Paul Watson, co-founder of Greenpeace. “Saying the world should not debate who won the Cold War, Soviet President Mikhail S. Gorbachev called… for the United states and Soviet Union to be partners in building a new world order…” Mikhail Gorbachev speaking at Stanford University, USA – quoted by Sentinel wire services Jun 5 1990. “Out of these troubled times, our fifth objective – a New World Order – can emerge. . . Now, we can see a New World Order coming into view. A world in which there is a very real prospect for a New World Order. . .A world where the United Nations, freed from a Cold War stalemate, is poised to fulfill the historic vision of its founders.” March 6th, 1991, George Bush Sr. Address to Congress. “My vision of a New World Order forsees a UN with a revitalized peacekeeping function. It is the sacred principles enshrined in the UN charter to which we henceforth pledge our allegiance.” February 1st, 1992, Goerge Bush Sr.
“Now, our President faces greater tasks. And he must have help from like-minded men and women in the U.S. House of Representatives and the U.S. Senate who can help him establish the “new world order” he seeks.” A quote from an invitation sent to Republican contributors throughout the United States in May 1991. “The only way to get our society to truly change is to frighten people with the possibility of a catastrophe.” Emeritus professor Daniel Botkin. “All countries are basically social arrangements….No matter how permanent or even sacred they may seem at any one time, in fact they are all artificial and temporary….Perhaps national sovereignty wasn’t such a great idea after all….But it has taken the events in our own wondrous and terrible century to clinch the case for world government.” July 20, 1992, Time magazine: “The Birth of the Global Nation” by Strobe Talbott (Rhodes scholar roommate of Bill Clinton at Oxford University, CFR director, Carnegie Endowment for International Peace board of directors member, and Trilateralist from a wealthy Ohio investment banking family). “The goal now is a socialist, redistributionist society, which is nature’s proper steward and society’s only hope.” David Brower, founder of Friends of the Earth. “In my view, after fifty years of service in the United Nations system, I perceive the utmost urgency and absolute necessity for proper Earth government. There is no shadow of a doubt that the present political and economic systems are no longer appropriate and will lead to the end of life evolution on this planet. We must therefore absolutely and urgently look for new ways.” Dr Robert Muller, UN Assistant Secretary General. “A massive campaign must be launched to de-develop the United States. De-development means bringing our economic system into line with the realities of ecology and the world resource situation.” Paul Ehrlich, Professor of Population Studies and scientific advisor to President George Bush. “What Congress will have before it is not a conventional trade agreement but the architecture of a new international system….a first step toward a new world order.” July 18, 1993:. CFR member and Trilateralist Henry Kissinger writing in The Los Angeles Times concerning NAFTA. “There has long been a hidden agenda to merge America and Russia under the New World Order.” The McAlvany Intelligence Advisor, March 1995, quoting Vladimir Zhirinovsky on Nov 9 1994 at a press conference at the U.N.
“We require a central organizing principle – one agreed to voluntarily. Minor shifts in policy, moderate improvement in laws and regulations, rhetoric offered in lieu of genuine change – these are all forms of appeasement, designed to satisfy the public’s desire to believe that sacrifice, struggle and a wrenching transformation of society will not be necessary.” Al Gore, Earth in the Balance. “The big threat to the planet is people: there are too many, doing too well economically and burning too much oil.” Sir James Lovelock, BBC Interview. ” if we are to avoid catastrophe, a system of world order –preferably a system of world government– is mandatory. The proud nations someday will… yield up their precious sovereignty.” A Reporter’s Life by Walter Cronkite, 1996. “the World Trade Organization is creating a world government in which one organization which is totally unelected, wholly secretive….with the power to virtually override and local or national laws if those in any way inconvenience global corporations….It was a terrible shock (to those of us who supported Bill Clinton) when Clinton came in and GATT and NAFTA became the centerpieces of his policy….And in a sense, there was almost a seamless transition from President Bush to President Clinton in that regard….Our democracy has been rendered meaningless by big money. The truth is there are politicians (who) are owned lock, stock and barrel by the big money interests….Our elections create, to some extent, a facade of choice.” May 11 1996, David C. Korten, author of When Corporations Rule the World (1995) and former Ford Foundation project specialist in Manila, interviewed by Journalist Joan Veon. “My three main goals would be to reduce human population to about 100 million worldwide, destroy the industrial infrastructure and see wilderness, with it’s full complement of species, returning throughout the world.” Dave Foreman, co-founder of Earth First! “There is a chance for the President of the United States to use this (9-11) disaster to carry out … a new world order.” Gary Hart, at a televised meting organized by the CFR in Washington D.C. just after the 9-11 terror attack, Sept 14, 2001. “For the first time in my life, I think the formation of some sort of world government is plausible, (and) would involve much more than cooperation between nations. It would be an entity with state-like characteristics, backed by a body of laws … a recent report from the Managing Global Insecurity (MGI) project, whose small U.S. advisory group includes John Podesta, the man heading Mr. Obama’s transition team and Strobe Talbott [Rhodes scholar], the president of the Brookings Institution, from which Ms. Rice [Rhodes scholar Susan Rice the US Ambassador to the UN] has just emerged … it talks about ‘global governance’ rather than world government, but Jacques Attali, an advisor to President Nicholas Sarkozy of France, argues that: ‘Global governance is just a euphemism for global government.’ … So, it seems, everything is in place. For the first time since homo sapiens began to doodle on cave walls, there is an argument, and opportunity and a means to make serious steps towards a world government.” Gideon Rachman: former BBC journalist, in an article entitled “And Now For A World Government” Financial Times. Wondering Why all the Jobs are Going to China? – Because it Was Planned That Way! New World Order or Feudalism of the 21st Century?